No one likes the thought that their pet is infested with creepy, crawly bugs, but it happens. And when it does happen it's nice to have a safe and effective alternative to toxic chemicals to treat your pet, your house, and your yard. In order to treat any infestation properly it’s important to understand the insect that you’re dealing with. The cat flea (and yes it can infest dogs too!) represent 85%-95% of all household fleas. A flea lives an average of 6 weeks, but the pupal stage can remain dormant for long periods. This is how the flea life cycle works. The adult flea lays eggs on the pet. These eggs roll off the pet where it sleeps. The eggs hatch into larvae (small worm like bugs) that crawl into dark areas such as cushions, cracks in the floor, and under furniture or porches. The larvae then form a hard shell around them and remain dormant in the pupal stage. The pupae will hatch into adults once it senses a warm blooded animal to feed on (vibration, heat, and CO2). This is why an infestation can seem to appear in minutes! Fleas prefer temperatures of 65-80 degrees and 75-85% relative humidity, therefore, in NH the worst months for fleas are July and August. If you have a flea problem, only 1% of the fleas are the biting adults on your pet. 14% are pupae, 35% are larvae, and 50% are eggs. That’s why it’s so important to treat the environment to rid your pet of fleas! There are many natural flea and tick products on the market. Some are used to control pests in the yard and house while others are either applied to the pet or given internally. Following is a list of SOME of the available products. Insect Growth Regulators (Nylar, pyriproxyfen, methoprene)-These products were discussed above, but actually fall more into the realm of natural products. They work by mimicking insect growth hormone and therefore prevent the development of flea eggs and larvae. 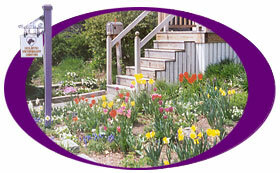 Gardens Alive carries IG Regulator to be used on carpets, furniture, floors, kennels and lawns. Flea Control Nematodes - The nematodes (tiny worms) are applied to the yard where they feed on flea larvae and pupae. Available from Gardens Alive. Boric Acid - This product works by desiccating (drying out) the flea eggs and larvae and is primarily used on carpets. Because it is dusty, a mask should be worn during application, and all pets removed from the area. There are several commercial products available: Fleago Natural Flea Control from Only Natural Pet Store, Rx for Fleas from Only Natural Pet Store. Or you can simply use 20 Mule Team Borax. Just dust the carpet until white and brush the powder in with a broom, then vacuum. Diatomaceous Earth - This powdered product works similarly to boric acid but instead of drying out the fleas and eggs it actually makes little cuts in the exoskeleton. These products can be applied to the yard, house, or pet. Available from Only Natural Pet as their Only Natural Pet All-In-One Flea Remedy. Critter Oil yard spray - Critter Oil, available from Naturals for Animals, is undiluted essential oils. NEVER use a product like this on your dog or cat without diluting first. Cats can be very sensitive to essential oils, so it’s probably better not to use them on cats. In a standard garden sprayer, use one measuring scoop of Critter Oil. Fill ½ of the sprayer with dark beer and the other ½ with Dawn Dish Soap. Set the sprayer to the lowest setting and spray the lawn. Nootkatones - These are a component of the essential oils found in grapefruit peels. The USDA is investigating this product to control ticks in yards by applying around the perimeter. It’s not available yet, but sounds like it will be helpful. Silica - Some professional lawn treatment companies offer this product for control of fleas and ticks. Not much information is available on this product. Other simple solutions - In addition to those products listed above, there are other simple ways to control fleas and ticks. It’s important that we avoid areas where ticks reside, such as tall grass, forest beds, brush and wooded areas. Simply washing pet bedding and vacuuming can do wonders to break a flea population. Use a natural flea collar in the vacuum bag as well. Table salt can be applied to carpets and upholstery. Create a drier yard by keeping the grass cut short (but not less then 2”) and remove piles of gravel, sand and organic debris (leaves, grass clippings, etc.). Cedar chips along the edge of the property and in gardens and flowerbeds will naturally repel fleas. Provide shelter and food for songbirds….they love ticks! Natural Defense Topical Squeeze-On - This product contains essential oils in a canola oil base. It is applied along the back and is intended to provide month long protection from fleas and ticks. Can make the animal greasy. Only Natural Pet Herbal Defense Spray - Contains essential oils along with NEEM in an alcohol, water and soybean oil base. Ark Naturals NEEM Protect Spray - Contains NEEM and essential oils. Pet Naturals of Vermont Natural Repellent Towelettes - Made by VetriScience. Contain essential oils in a water base. The same company makes a similar flea and tick spray. Dr. Harvey’s Herbal Protection Spray - A combination of essential oils in a witch hazel base. Doc Ackerman’s Botanical Citronella Pet Spray - Essential Oils in a water base. Crocodile Lotion and Roll-On - This is an oil based product intended for people, but works well to repel black flies from the ears of dogs. Flea Free Flower Essence - A combination of 20+ flower essences made by Green Hope Farm in Meriden, NH. Can be used orally or topically. Bug Off Garlic (powder). Available from Spring Time, Inc. 100% garlic. Since garlic contains sulfur, careful with sulfur allergies. The same company makes Bug-Off Garlic chewables, but these contain yeast, liver and dextrose, so be careful if your pet has any food allergies. Only Natural Pet Brewers Yeast and Garlic - This product also contains liver and whey (a dairy product). Careful with food allergies. Earth Animal’s Herbal Internal Powder - A mixture of garlic and herbs that will make the pet less tasty to fleas and ticks. This company also makes other herbal liquids and powders to repel fleas and ticks. Homemade Spray - Cut a lemon into quarters and place in boiling water. Seep overnight. After straining, use as a spray on the pet.